Three Reasons Why Small Multifamily Properties Rock! There are many options when investing in real estate, but I want to share with you some of the awesome benefits of small multifamily properties. Let’s first be clear on what constitutes a small multifamily. Essentially, any residential property consisting of two to four units. Properties zoned for residential use that consist of four or less units qualify for traditional financing. That’s right, those 30-year fixed rates loans are an option. This makes a difference in your potential cash flow as commercial loans usually have 20 to 25 year max amortization schedules and the rates do not remain fixed for the entire duration. Thus, by having access to traditional loans you can have a lower monthly payment that is locked in longer, yet still own multiple units pumping out more cash flow. More units, equal more cash flow sooner. Okay maybe it is not that straightforward, but even with a duplex you benefit from the economies of scale. Insurance is an example. 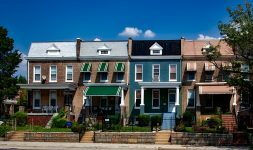 The annual premium on a duplex is not going to be twice that of a single family home, but you will have twice the units bringing in cash flow. In addition to that, vacancy doesn’t hit you as hard being that if one unit is empty you still have money coming in from the other units as opposed to a single family where one vacancy equals all of your income. Small multifamily properties are a bit of a niche. The big investors don’t want to deal with just a few units. They are looking for the 20+ unit buildings, while your average mom and pop are looking for a single family home to live in. That’s not to say there isn’t any competition, but the pool of buyers looking for this specific type of property seems to be less than the former two. Plus you also have the option of buying a small multifamily, living in one of the units and renting the others out. Your tenants rent pay the mortgage as opposed to buying a single family home you cannot generate income from. Those are a few reasons why I think small multifamily properties rock! For a blueprint on how to make money with rental properties grab a copy of ScaredyCatGuide to Investing in Rental Properties. P.S. – Be sure to use the scaredycatguide online property calculator to run the numbers on multifamily properties.